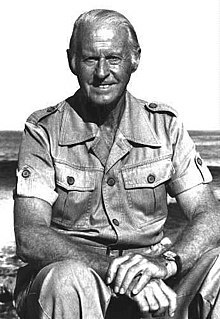 Thor Heyerdahl (6 Octobris 1914–18 Aprilis 2002) fuit explorator et anthropologus Norvegicus. Factus est notus ob navigationem suam in Oceano Pacifico in rate Kon-Tiki. Nonnullos libros de expeditionibus suis scripsit. Mense Maio anno 2011, scriptura sua regesta est ad Memoriam mundi UNESCO. Vicimedia Communia plura habent quae ad Thor Heyerdahl spectant. Novissima mutatio die 27 Augusti 2016 hora 13:00 facta.